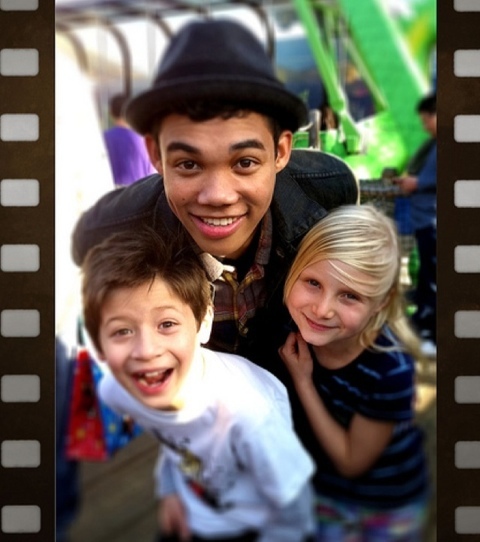 10 year old Davis Cleveland plays Flynn on Disney Channel’s Shake it Up. He loves his job and skateboarding but also spends a lot of time helping kids with health problems. He recently made friends with Lexi Haas. Lexi had trouble when she was born and developed Jaundice and since it wasn’t treated it caused damage to a part of her brain that helps control movement. She needs therapy, treatments and has even had experimental surgery on her brain. Davis has helped people learn about her story and how to contribute to her medical expenses though his Twitter account! Next week she is visiting LA for Dr’s appointments and Davis invited her and her family to visit the set of Shake it Up!! I hope Lexi has a blast meeting the cast and checking out the action behind the scenes!! I think it’s so cool that Davis donates so much time, energy and even his own money to charities and kids less fortunate! My son also has KI (Kernicterus – a complication from newborn jaundice that causes CP and other conditions). We are so excited to see these 2 meet! I know Lexi’s smile will be a mile wide! Thanks Davis!!! !